Five years back, we were still a million plus armed forces as we are today. However, the then Army Chief General VK Singh in his letter to the Prime Minister on 12 March 2012 informing that the army’s preparedness state was at an “alarming level”. The shrinking strength of the air force had no guarantees of resuscitation. The Navy’s much-touted plans of six submarines being manufactured at the Mazgaon Docks and Ship Builders Limited was running way behind schedule. The army was asking for over 1800 guns as replacements, but every reputed manufacturer, globally, had been blacklisted. The Navy’s air arm was barely capable of taking off. There was also no Make in India endeavour, the manual of Defence Procurement Procedure -2009 was an outdated mix that throttled private sector participation, exports and had little to offer for startups and MSMEs. Where are we today, given the fact that Vice Chief of Army Staff has only recently stated that 68 per cent of the equipment is as good as outdated? It’s relevant I recall a meeting we had in early 2016 with a Parliamentarian from the opposing camp who was one of the speakers in a seminar organised by us. The seminar was focused on innovation in the defence sector. The Defence Procurement Procedure draft DPP-2016 was already on the net for comments. The uninhibited evaluation, off the stage, of the Parliamentarian, was, “The draft DPP-2106 was path-breaking.” Manohar Parrikar had maintained the same pace and vigour all along his tenure as the Defence Minister as he did while framing the document. A prime reason for the private industry not participating adequately in the defence sector had been the uneven play field we had so far for them. The DPSUs (Defence Public Sector Undertakings) and OFB (Ordnance Factory Board) have been the favoured lot notwithstanding their performance. However, though not ideal, yet the process of change has been set in motion. The new Make 1 & 2 procedures are attractive options loaded in favour of both entrepreneurs and Indian OEMs (Original Equipment Manufacturers). Make 2 that calls for government funding of the projects has drawn the industry to some critical areas. 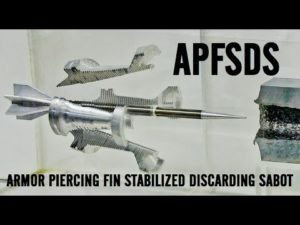 Among them are the 125 mm Fin Stabilised Armour Piercing Discarding Sabot (FSAPDS) for T-72 and T-90 tanks. The ammunition is critical in a tank to tank battle and our shortages in holdings were alarming. Other products likely to be delivered on the Make 2 plank include Infrared Search and Track System, Upper Air Sounding System and Manoeuvrable Expendable Aerial Targets. Lately, 116 items procured by Defence PSUs have been notified under the Public Procurement Order which mandates giving preference to domestic manufacturers. Defence testing labs and firing ranges have been made available to the industry for testing and certifications. Further, Arjun Mk-2 is ready for induction while licensed production of Russian tanks is being pursued. Specialised clothing for high altitude areas was being almost entirely imported. Today, 80 per cent of such clothing is of Indian origin, and the objective is to achieve 100 per cent indigenisation in the next two years.